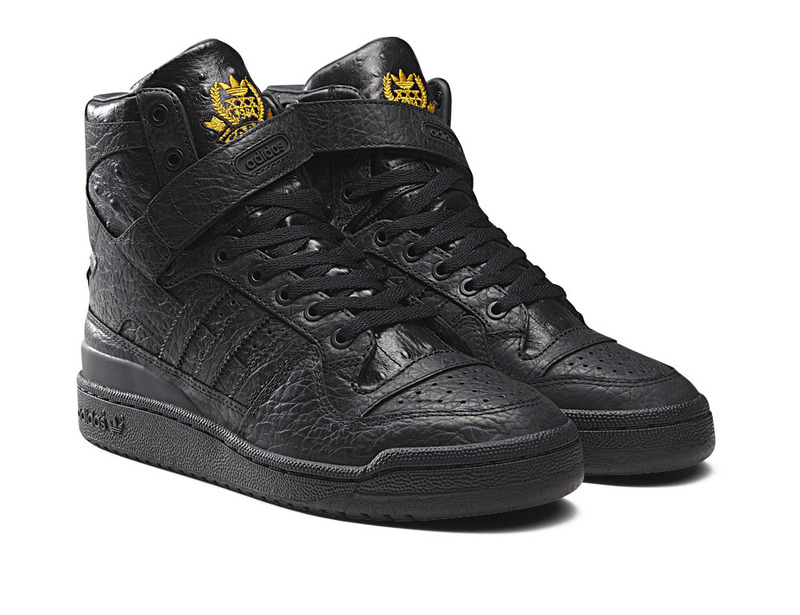 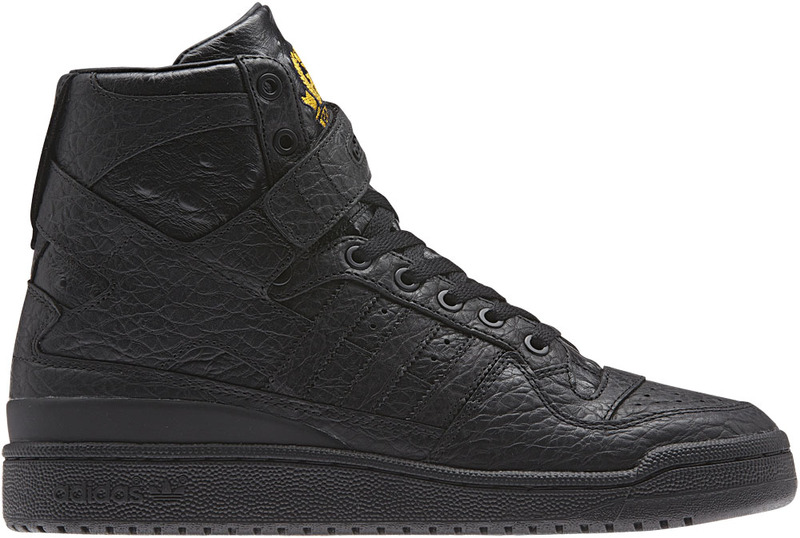 adidas Originals presents the return of another icon for FW14 with the Forum Hi pack. 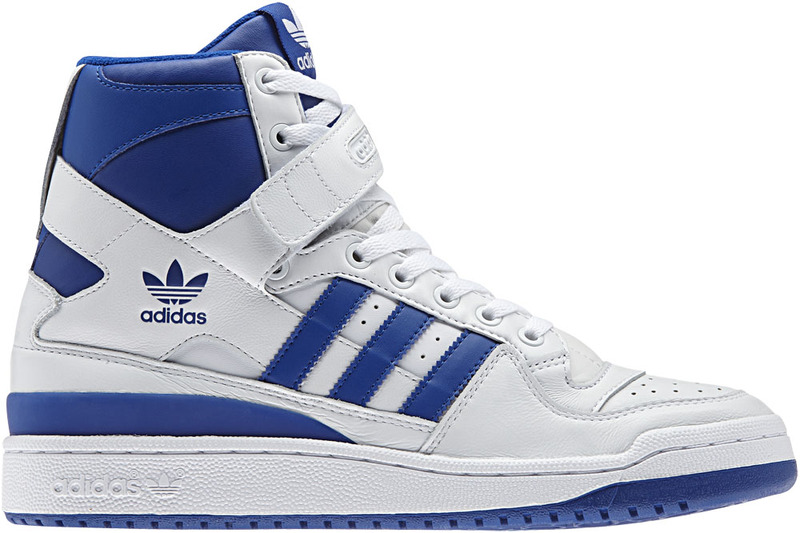 The Forum Hi model’s status as a heavyweight of basketball footwear made it an essential ever since its release in 1984 and to mark its 30th anniversary adidas Originals has reproduced the shoe in its OG White/Collegiate Royal colourway accompanied by a luxury blacked out iteration. 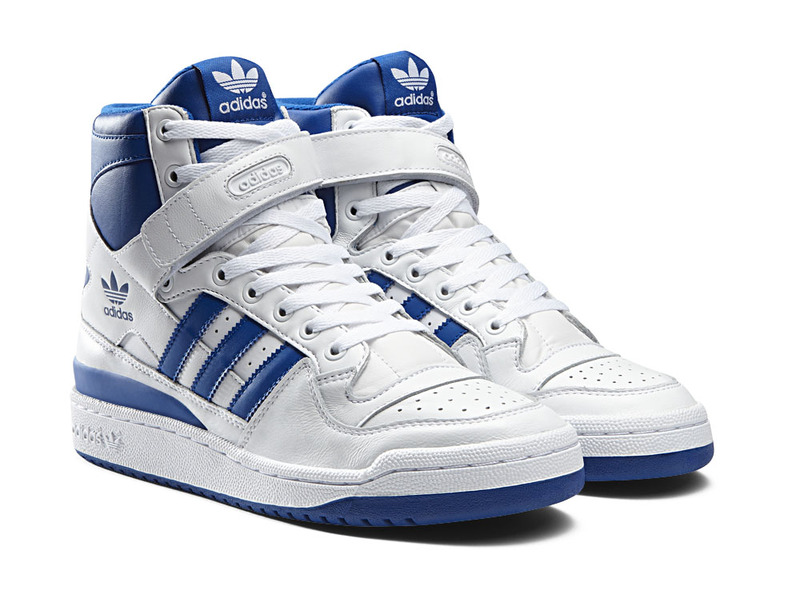 A one-to-one remake of the original silhouette, both models feature full premium leather construction with trefoil branding on the tongue and lateral side and the model’s iconic criss-cross ankle straps, completing the return of the shoe that brought style to the game.